A design collaboration along with Schilke international artist Marc Geujon, this new orchestral series of Bb trumpet is truly a first at Schilke Music. Almost every aspect of these trumpets have been created over the past year and a half. At the heart of the series, an all new valve casing was designed for a resonant, clear sound throughout its register. The SB4 leadpipe and bell have also been handcrafted to Marc’s exact specifications. An exquisite bell engraving is included with every Soloiste instrument. Building upon the success of the first Soloiste Series models, the SB4-OT offers new options for bell, main tuning slide and bracing design. These new design elements combine to provide a unique experience for the orchestral trumpet player. Acclaimed for its exceptional intonation, ease in response, and outstanding projection, the Renold O. Schilke designed Bb trumpet has set the standard for playability and build quality since it was introduced in 1956. The classic reverse main tuning slide with full radius bend, mouthpipe design and bore variation help create a responsive, open feel with an overall evenness throughout the range of the instrument at all dynamic levels. This characteristic design is streamlined, clean and elegant. The B and X models provide a balanced, comfortable playing experience with a superior tone quality. The HD line of Bb trumpets offer a broad, rich tone with excellent intonation. Built in the high quality Schilke tradition, this new design compliments the lighter B and X series trumpets. Designed for the symphonic player, the ML and L bore HD trumpets will feel controlled and powerful yet have the ability to project even the softest passages. The new Schilke Handcraft offers a truly unique sound. With its extra-large bore and bell design, the Handcraft creates a dark, smokey tone that will project in any performance venue. Using some of the early design influences from Renold Schilke’s years prior to the development of the Schilke company, this trumpet reintroduces a rich smooth sound that has been unavailable for many years. The S43HDL-F was designed for legendary jazz artist, musician, conductor, composer and educator Jon Faddis. It is built on our HD valve section, which is heavier in mass at the center of the trumpet. No nibs on the second slide, no water key on the main tuning slide, heavy valve caps, and adjustable sound post. It is supplied with a hard case and available in silver plate or gold plate finishes. The S43HDL-F comes with a standard #3 tuning bell. A top innovative leader in brass manufacturing in the world for 60 years, Schilke is proud to present the completely new Model i32 Bb Trumpet. The i32 features include the classic Schilke reverse leadpipe design, a .460″ medium-large bore with an all new #2i taper Yellow Brass Bell in silver plate finish. Versatile and responsive, the i32 is flexible enough to work in any style or genre and is ideal for every level of player. Old world craftsmanship and 21st century technology combine to allow a competitive price while creating an instrument with professional features and playing characteristics. 100% built by Schilke craftsmen located in Melrose Park, IL, USA. The *NEW* i33 Bb Trumpet was designed working with Osamu Takahashi, the world renowned Schilke Artist and Principal Trumpet of the Tokyo Metropolitan Symphony Orchestra. Building upon the success of the i32, the i33 is now the second model within the i Series. Sharing the bore size and overall design concepts of the i32, the i33’s primary point of difference in the bell taper. The i33 features a #3 bell taper which is overall more efficient and focused than the #2i taper, but with a larger tail and throat which gives the i33 a big sound. i Series Trumpets include a lightweight case and Schilke standard series mouthpiece. 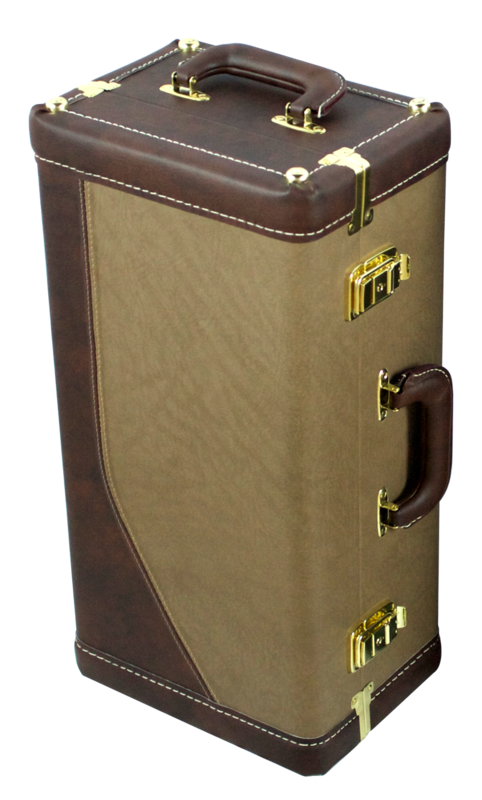 The case is designed for a secure and protective vertical fit and includes a shoulder strap. i Series Trumpets are only available in silver plate. 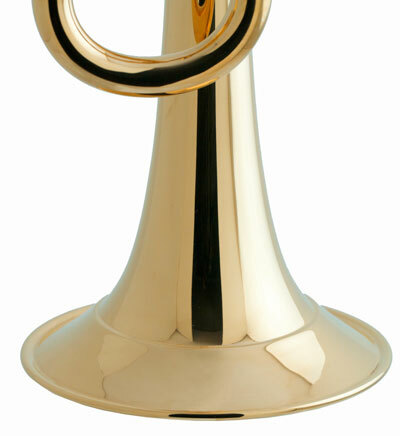 The detachable tuning bell design is available on all Schilke Bb, C, Eb/D, and G/F custom-built trumpets. By tuning from the bell, the instrument offers an improved feel and superior intonation. In general, the playing characteristic of this instrument will be more open or “free” feeling mainly in the upper register. Because the tuning bell design offers less bell bracing, the general response of the instrument feels quicker. By removing the standard “S” brace on the front section of the bell, the instrument resonates or “rings” which improves projection. With the lack of fixed bracing, the tuning bell design is fragile and caution should be used when carrying a tuning bell trumpet in a soft sided case. “Beryllium”: “Beryllium” bells are made up of extremely lightweight copper which offers more direct, compact projection. Optional on Schilke Bb, C, Eb/D trumpets. Sterling Silver: Sterling silver bells are slightly thicker than our traditional bells and offer a wider range of overtones which creates a dark, rich tone. Optional on Schilke Bb, C, Eb/D trumpets. Gold Brass: Gold Brass bells are made from an alloy with a higher copper content, offering a warmer tone with more overtones. Optional on Schilke HD Series Bb & C Trumpets.